As the colleges prepare to celebrate the undiscovered talent their courses boast, our professional team have been on hand to support them with make-up behind the scenes and sponsorship of their events! 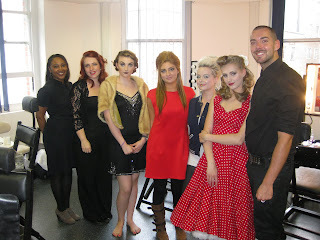 Next week they will be heading over to indulge in the West Thames final show to see the fabulous creations of the students there. For those of you who want to head down the show is on Wednesday 15th June and tickets can be found here. With more Graduate shows in the coming weeks from Leeds and the London College of Beauty, be sure to stay tuned to the Illamasqua blog for more stunning examples of the students work and inspiration. Illamasqua’s heritage lies with our dedication to professional artistry and products. 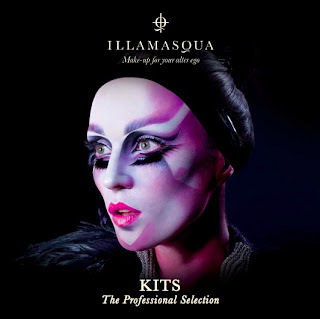 Our wonderful Professional team and artists have created a selection of great kits for aspiring and working artists within the industry, including kits comprising of the essentials to kits devoted to specific genres and looks.